Sewer rates in Hamilton County will likely go up again next year, though not quite as much as expected. 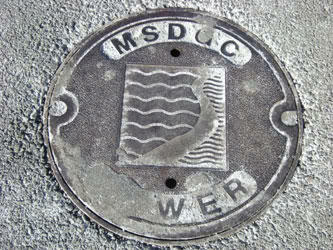 The Metropolitan Sewer District is recommending County Commissioners approve a five percent increase for each of the next five years. That's less than the eight percent rates went up in 2012. Sewer District Director Tony Parrott says the smaller projected increases are possible because of reduced costs related to changes in a project along the Lower Mill Creek. Sewer rates have increased dramatically over the last few years and that trend is likely to continue. The County is undergoing a $3.2 billion system upgrade in order to comply with a federal consent decree to meet clean water standards. Hamilton County Commissioners are scheduled to vote on the MSD budget next week.